Christina Kenney joined Roesner | Kenney Tax & Accounting in 2003 and became the owner of the firm in 2018. 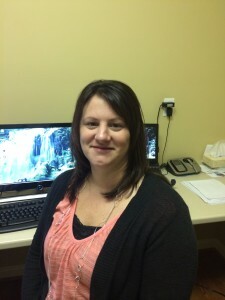 Christina has over 15 years of experience in all aspects of the accounting field. Her past employers have included manufacturing, service, construction and government organizations. In addition, Christina has experience with human resources, project management, training, providing technical assistance and custom database development services to a wide variety of clients. Christina is proficient in the use of numerous accounting software products and is able to provide training for Peachtree and QuickBooks. Christina became an Enrolled Agent in February 2016. As an Enrolled Agent she can advise, represent and prepare tax returns for individuals, partnerships, corporations, and any entity with tax-reporting requirements. Christina is required to complete 72 hours of continuing professional education every three years to maintain her enrolled status. Christina also maintains her Annual Filing Season Program (AFSP) status with the Internal Revenue service each year. To find out more about the AFSP program click the link below. Christina is a member of the National Association of Tax Preparers (NATP), the Minnesota Chapter of Enrolled Agents (MNSEA) and the National Association of Enrolled Agents (NAEA). Christina studied at Anoka Ramsey Community College. She has attended numerous accounting, tax, human resources, management, project management and software trainings. Christina continues to attend classes on a regular basis to keep up to date with the changing laws and regulations. 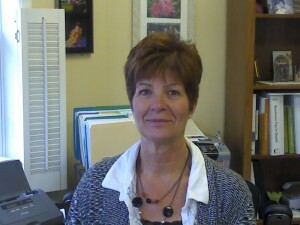 Marianne, the founder of our company, has been a tax accountant for 40 years. She continues to attend tax education seminars to stay up-to-date with the ever-changing tax laws. Marianne is a member in good standing with NATP (National Association of Tax Professionals), NAEA (National Association of Enrolled Agents) MNSEA (Minnesota Association of Enrolled Agents) and many other tax groups. Marianne also enjoys walking, kayaking, reading and her 11 grandchildren.